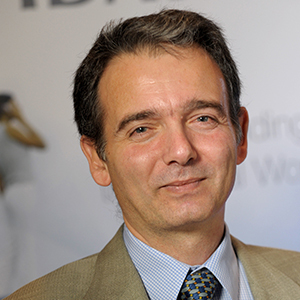 Pierre-Michel Attali has been with IDATE since 2000, and now heads Networks Practice. Pierre-Michel assists local authorities (regions, cities and metropolitan areas) in their strategic decision-making process when planning IT deployments in their area, helping to draft broadband and ultra-broadband development plans. Before coming to IDATE, Pierre-Michel worked as an Information and Communication Technologies engineer, and in the creation and financing of innovative start-ups for the Languedoc-Roussillon’s Regional Department of Industry and its Research and Environment Department (DRIRE). He has also worked as an engineer for national energy company, EDF, in charge of overseeing the Vidéopole cable network’s construction and maintenance in the Hérault region, after having been responsible for the technical-economic feasibility study for cable in the region, on behalf of operator Vidéopole (since taken over by UPC). Mr. Attali holds a Telecommunications Engineer degree from the Ecole Nationale Supérieure des Télécommunications de Bretagne (ENST-B).